This Queen Has A Very Red Face! Some plants we see are boring because we see them so much in garden, others take us by surprise and we ask ourselves if it’s real. Other plants remind us of other plants but their form or flower is not quite right to be that plant. 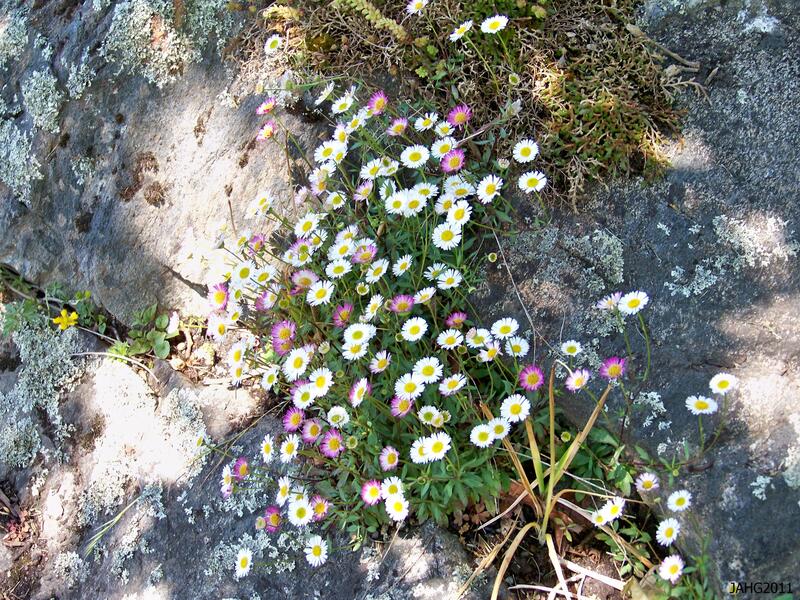 Many plants that are related bear similar flowers or something in the leaves which say to us what they are. One plant that creates many of these feelings is Lobelia x ‘Queen Victoria’ (Queen Victoria Lobelia). 'Queen Victoria' Lobelia has some of the most vibrant flowers in the garden. There is some confusion as to the parentage of ‘Queen Victoria’ Lobelia which leads to more confusion with its true cold hardiness. From my gleanings of many sources the likely answer to who the parents are is it is a crossing of the northern red Lobelia cardinalis with the southern L. fulgens (Mexican Lobelia) which is found Mexico and south into central America. Both plants have firey red flowers and bloom late in the year. Fulgens most likely contributed the red coloration in the leaves at in the wild some plants have this tinge. Cardinalis contributes the especially brilliant scarlet red flower color and the general shape of the flowers. 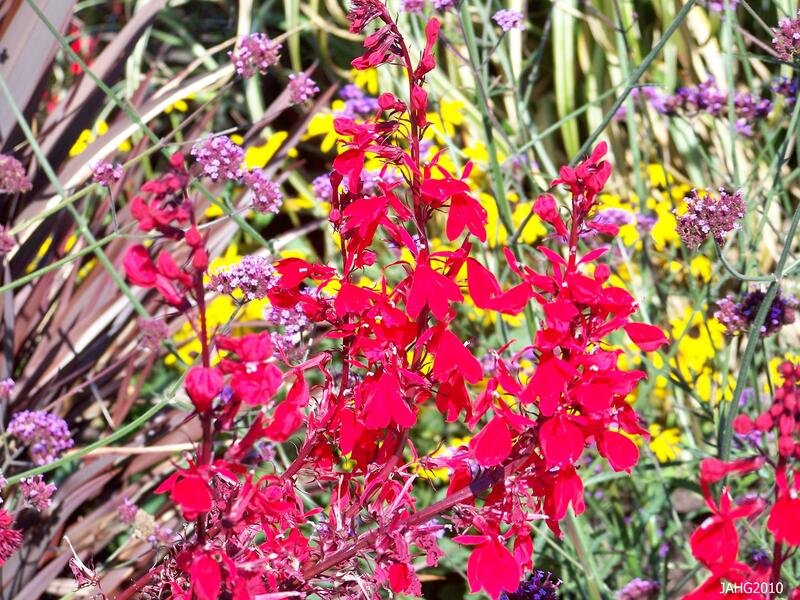 The distinctive plum tinted foliage and brilliant red flowers make 'Queen Victoria' Lobelia a knock out in the garden. 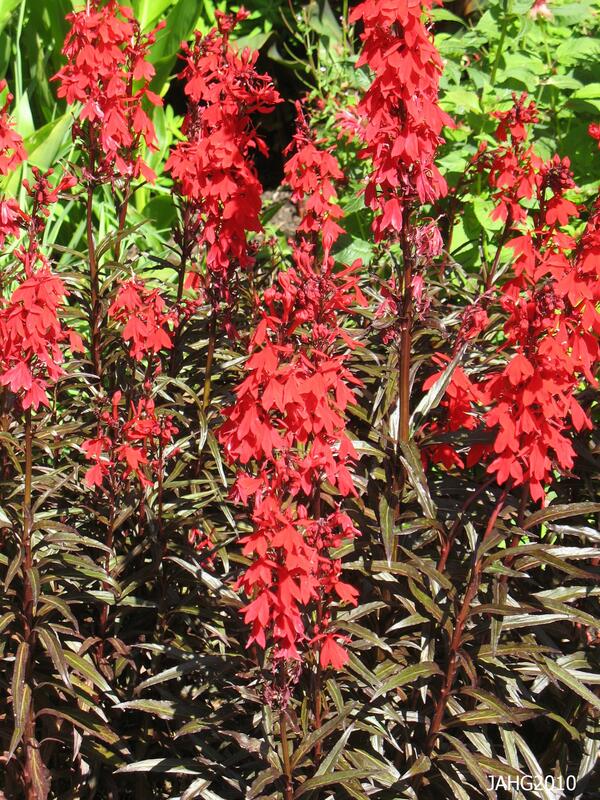 The reddish foliage of 'Queen Victoria' Lobelia is attracive early in the year. Whether it be called ‘ x’, speciosa, fulgens or cardinalis on its sales tag ‘Queen Victoria’ Lobelia is easily recognizable from other Lobelia. 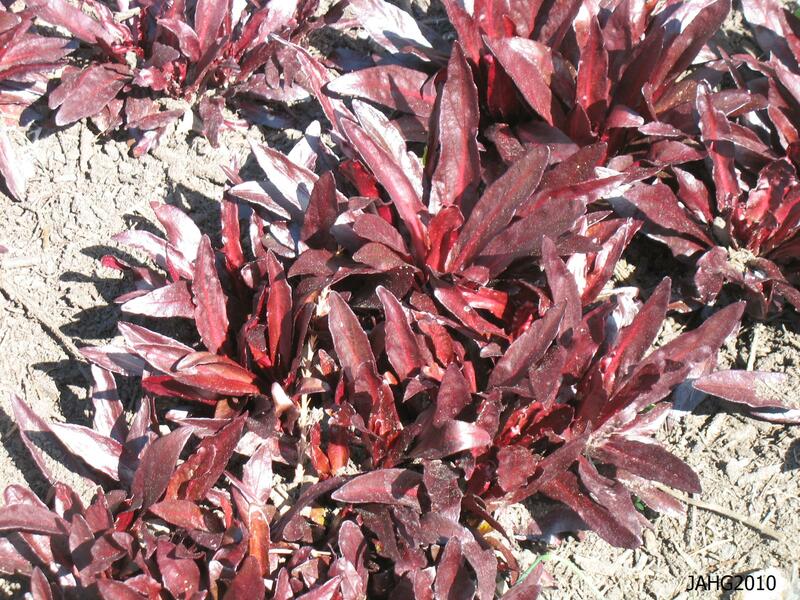 The red tinged foliage is one of the more distinct colors in the garden and care must be taken when placing this plant. One other thing I have learned is red and plum colors draws ones vision to it in the garden, meaning anything next to this plant will take second place. It is fortunate that this plant is in its glory late in the year when there are not many other plants to compete against it. In fact many tones of plants will complement it with their leave in autumns brilliant shades. 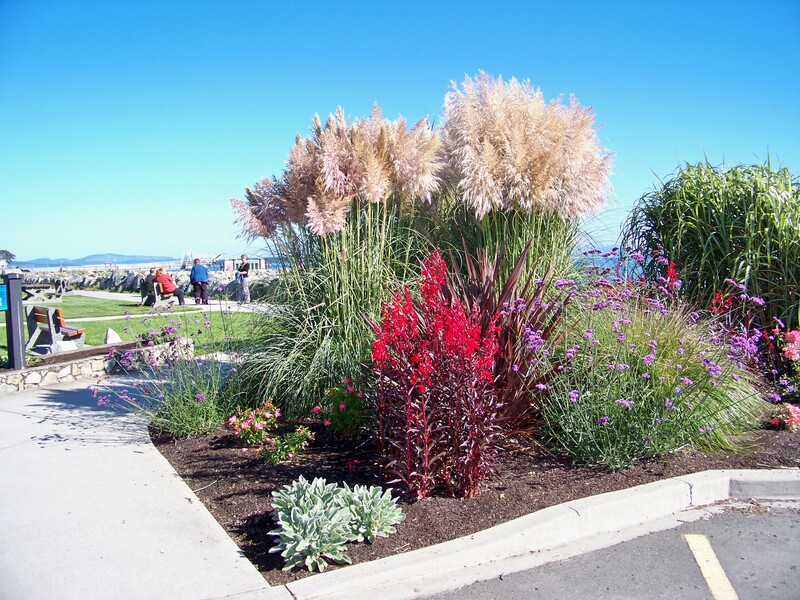 Here 'Queen Victoria' Lobelia is planted with other late blooming plants to make a pleasing, colorful display at Tulista Park in Sidney. Growing ‘Queen Victoria’ Lobelia is quite easy in the right place. 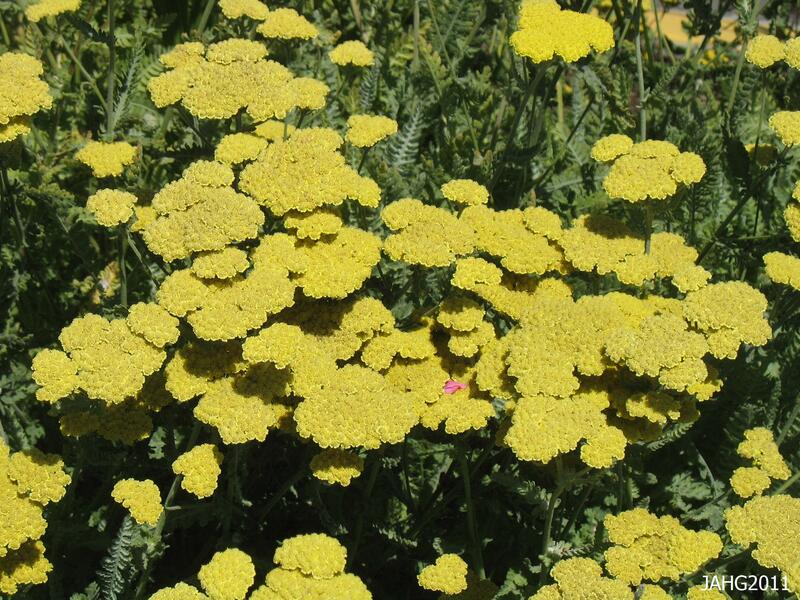 This plant like full sun to light shade, and rich deep moisture retentive soil. 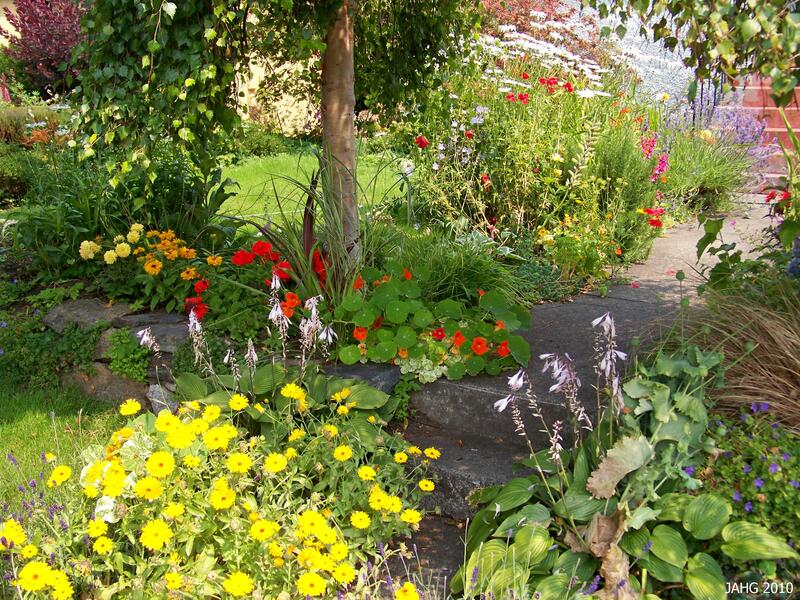 In a sunny place the leaves will often droop during the day and perk up later in the evening, giving it a spot of water will make it a tougher plant. Since this is mostly a seed grown plant the color of the leaves will vary in the intensity of color and keep this in mind when buying it. 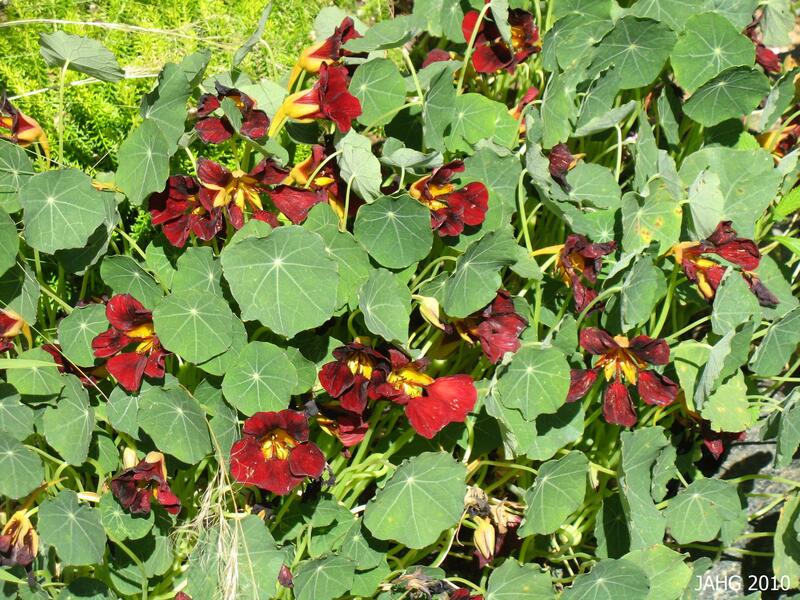 Buy this plant where it is displayed in full sun and where the color is true to its form, in the shade the leaves become more olive toned. A Brilliant flash of color from 'Queen Victoria' Lobelia is a welcome sight to behold in the garden at this time of year. 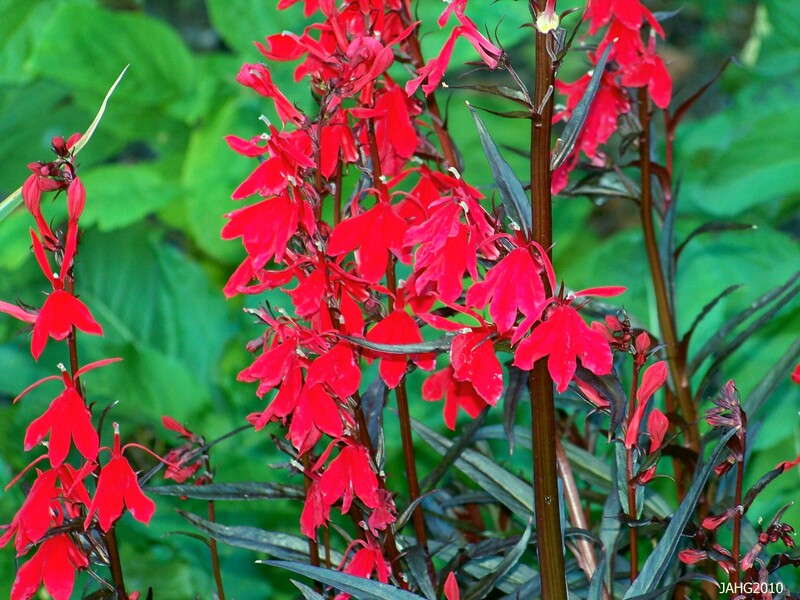 As mentioned there is confusion with ‘Queen Victoria’ Lobelia in parentage, it is also with hardiness of this plant. Know you know that one of its parents is from Mexico and southern areas which will lead it to be seen as less hardy. It is was in the past rated as having a much colder tolerance, but this has been changed with experience. It is now rated at zones 7 through 10 or tolerating -10c(14f). 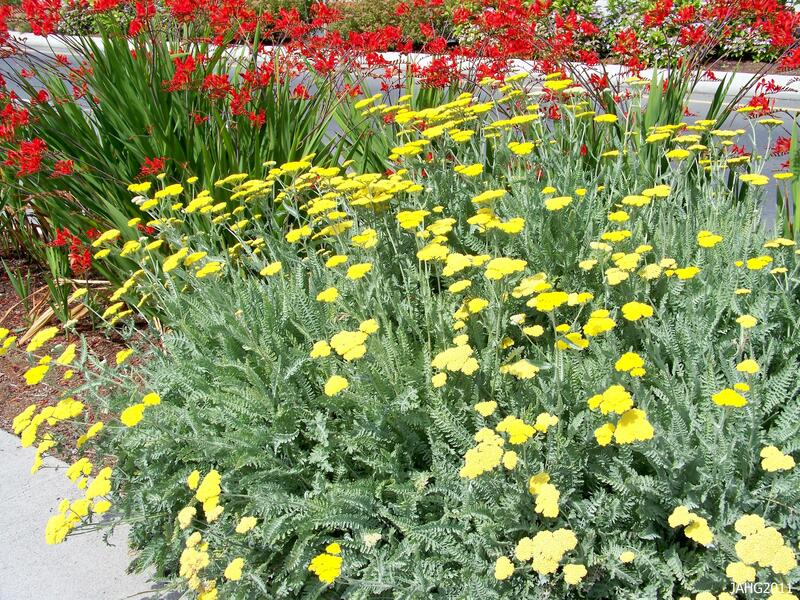 It is best to view this plant as a somewhat short-lived perennial with a lifespan of up to 10 years. When you have a vigorously growing plant it will produce new plants which can be divided off in the spring. These plats grow to about 90cm (2 1/2ft) tall and 30cm(1ft) wide. Here 'Queen Victoria' Lobelia is soon to be in bloom on the long perennial border at Government House. 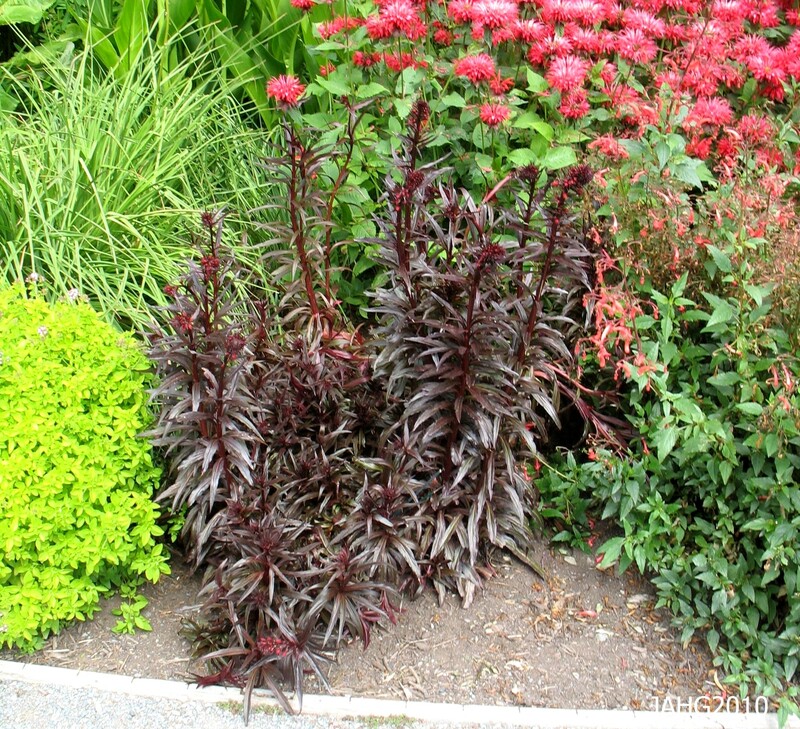 ‘Queen Victoria’ Lobelia is a very useful plant for in the garden, its colorful foliage and brilliant blooms make it a specimen in the garden. It often looks best planted in groups for impact. 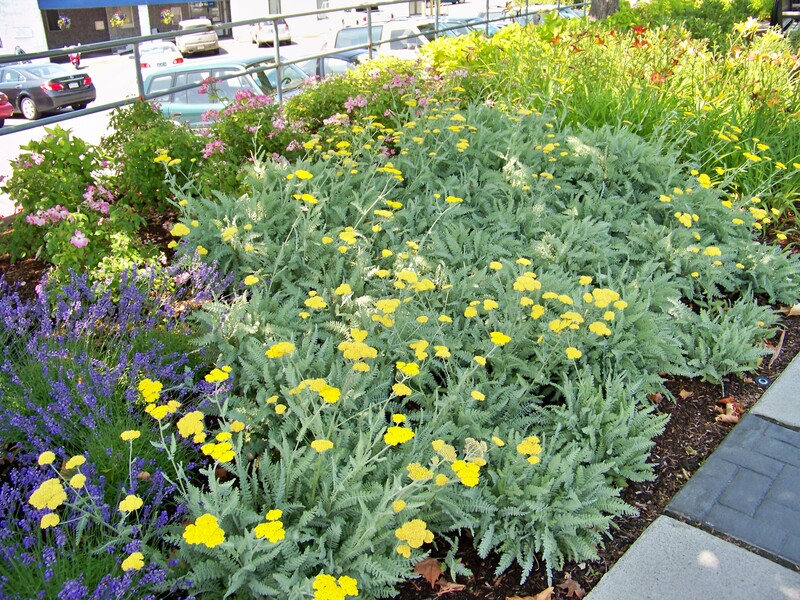 It works well in perennial beds, hot sun locations, waterside and poolside gardens, damp sites, containers. 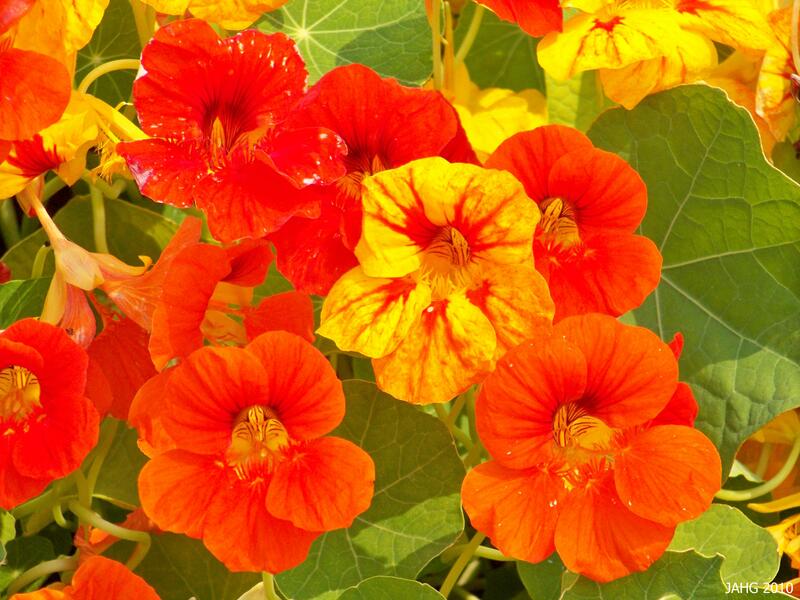 It is a good cut flower with its bright coloring which also attracts humming birds and butterflies. 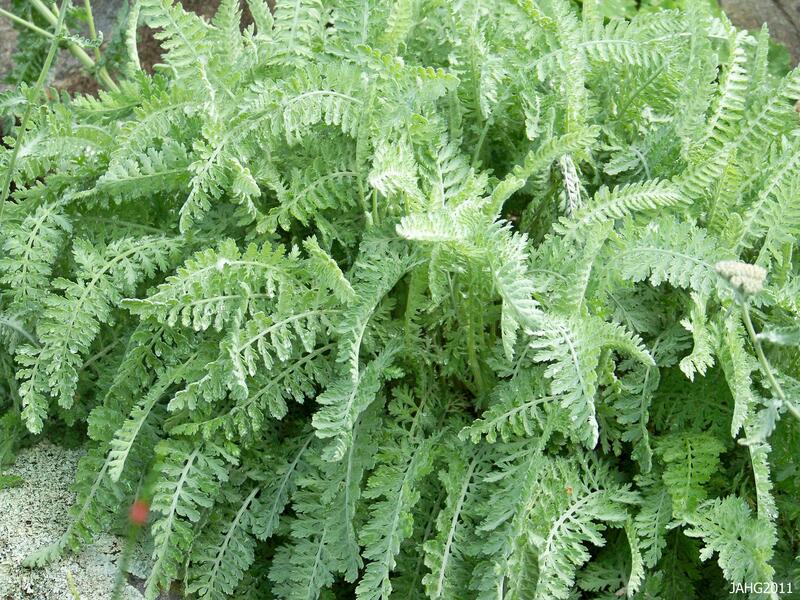 This site always has good authoritative information : http://www.perennials.com/seeplant.html?item=1.328. …..Looking to find you here again…..
Back to school, those are dreaded words for some, a relief for others and the beginning of a new chapter in life for many more. I must admit I did not like grade school. It was not until later when I had a break from the grind of it, had more perspective and experience in life that I enjoyed it more. Now I think about i more fondly look back at my time in school especially the time I was in Hort. school learning so many new things which I use all the time now. Learning the plants back then was more of a challenge, now it is adverture which takes me across the world and back in time. 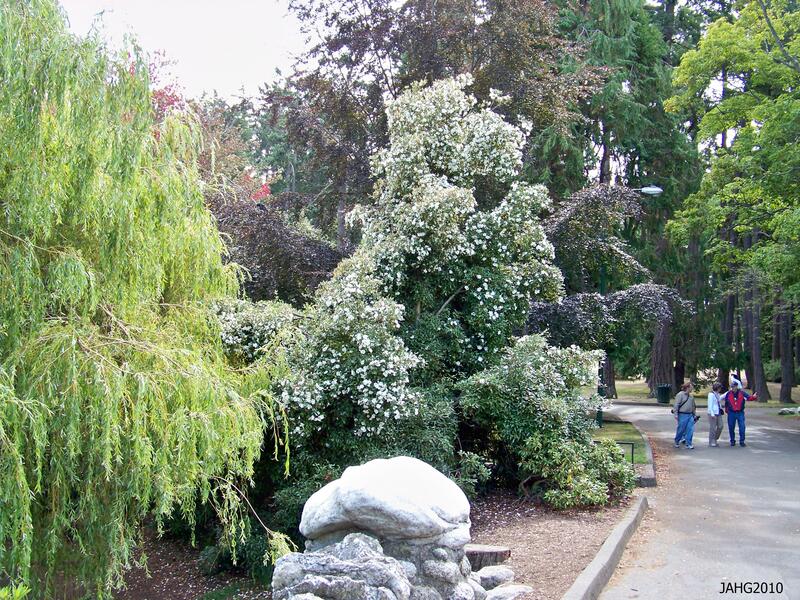 I first saw Nandina domestica (Heavenly Bamboo or Sacred Bamboo) at Van Duesen Gardens and over the years have always loved it’s simple elegant beauty. 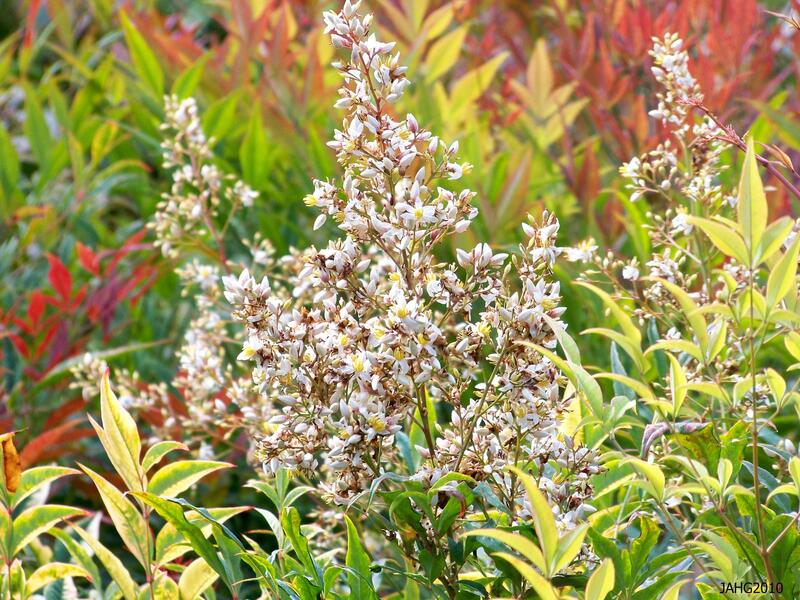 Heavenly Bamboo is a triple treat with wonderful foliage, flowers and bright red berries which appear in the fall. Nandina domestica is a plant which comes to us from Asia, there it is found in central Northern India, China and Japan. In Japan it is known as Nantzen (meaning southern sky) is derived from the chinese name(southern heaven)and our latin name is from it. Nandina is strongly connected with the new year in both China and Japan, in China it is associated with the kitchen god Zhao Jun(Zhen) who is the most important domestic god and protects the hearth and family. The light delicate foliage and compact habit makes Heavenly Bamboo very popular here. In Japan it is especially popular and is often seen at the entrances of houses and is also used during the holiday season of late December and January. Here it seen in traditional Kadumatsu decorations which are placed in pairs at the front door of the home. 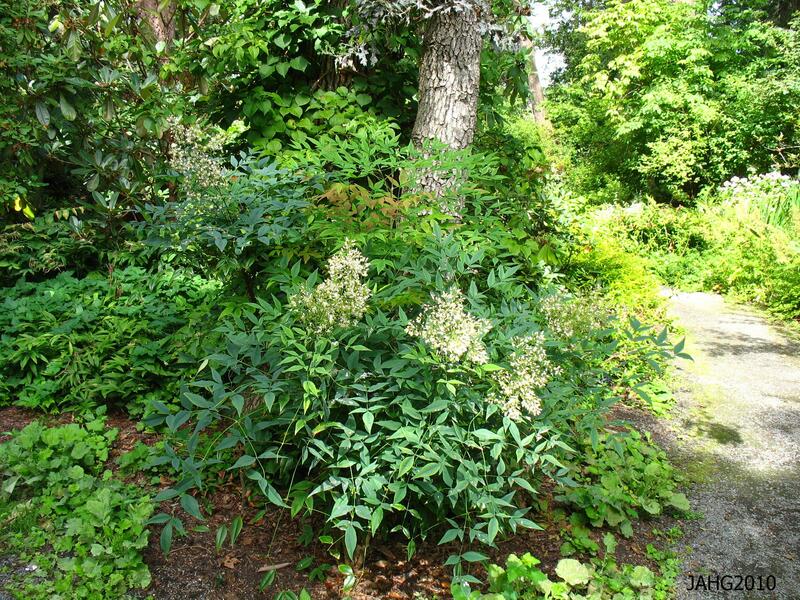 It is also in Japan where Carl Peter Thunberg(1743-1828) first documented Nandina domestica while he was there in 1775-76. His name is one of the most important associated with botanical plants in Japan and he named many of the best known ones of today. 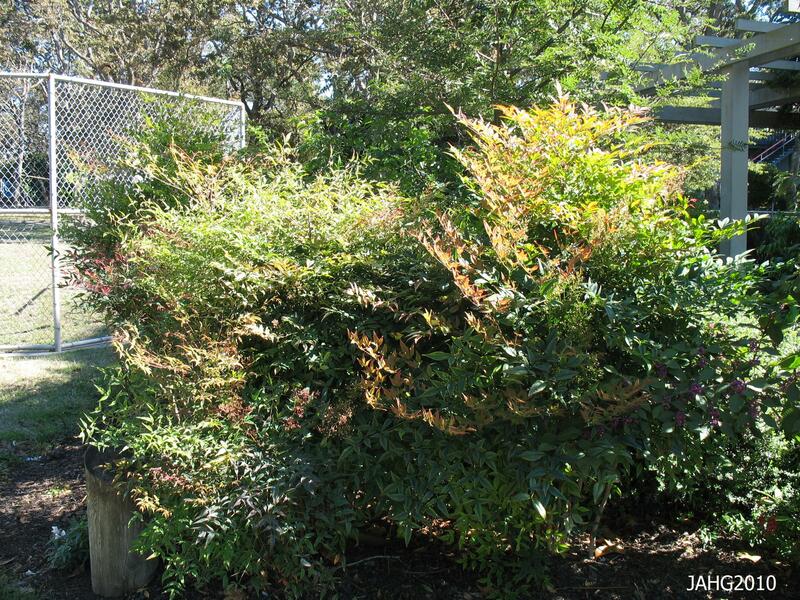 A good crop of berries is seen with this planting of Nandina domestica at U.B.C. Botanical Gardens in Vancouver. 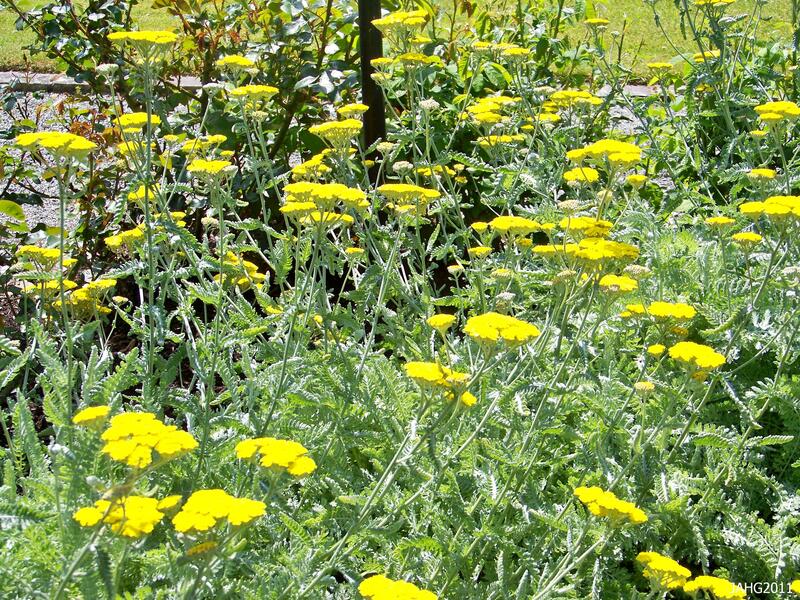 Heavenly Bamboo was introduced to the gardening public in 1804. Also back in Japan at that time there were new forms being discovered and it was becoming popular there as a bonsai subject.Some of the new forms had narrower leaves and lent themselves to Bonsai. By the late 1800s’ nearly 200 cultivars had been named and catalogued there. Sadly many of these forms have been lost although recently many new color forms have been selected by growers in Europe and North America. Nandina domestica is often mass planted or used as informal hedging here. Here we have come to love Heavenly Bamboo for its versatility, beauty and color throughout the year. It tolerates any type of soil as long as it is well-drained. 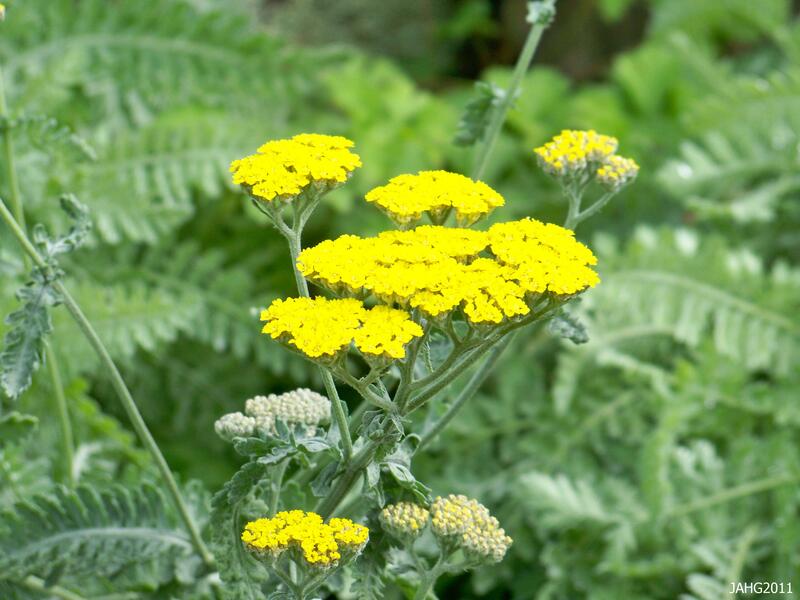 It is not fussy about light and can take the full sun to full shade although it is best with some protection from harsh midday sun in the summer especially in drier and more southern areas that here. Nandina domestica is tolerant of fairly dry areas as long as it is sheltered from drying winds like most other evergreens. This plant grows by producing suckers from the base, this over time will produce a dense clump. Pruning can be done to remove damaged parts and to thin it out if it gets overgrown. The leaves are very large and tri-pinnate which gives 'Heavenly Bamboo' its common name. 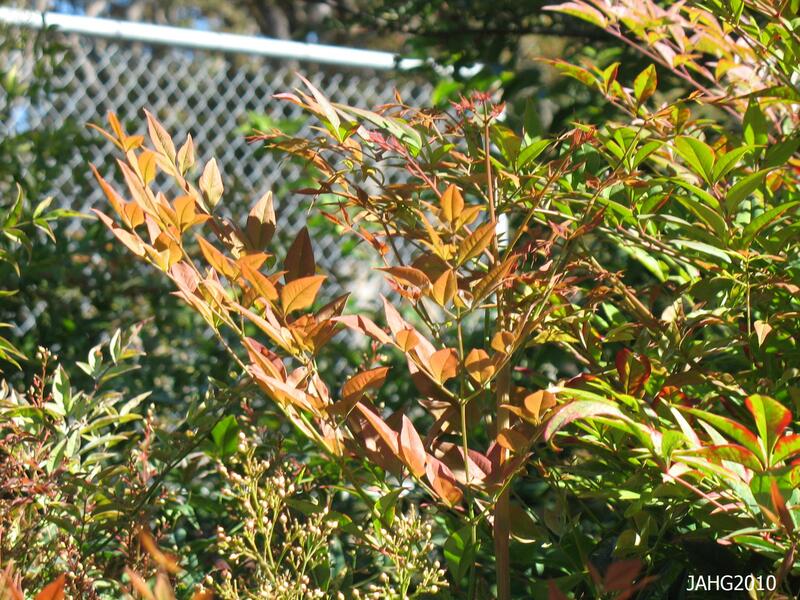 There are many new forms of Nandina domestica which have recently appeared on the market. They range from the dwarfs such as Nandina domestica ‘Nana Purpurea’ which grows 60cm(2 ft) which I think are best in containers as they do not have the elegant form as the full-sized ones. Nandina domestica ‘Plum Passion’ has great plum tinted blue-green foliage and grows 2m(6.5ft) by 90cm(3 ft) wide which is the normal size for Nandinas. 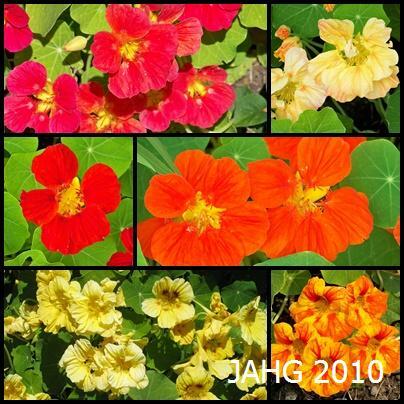 There are also exciting golden-leaved and yellow and white-fruited varieties which can be found so be on the lookout for more interesting varieties. 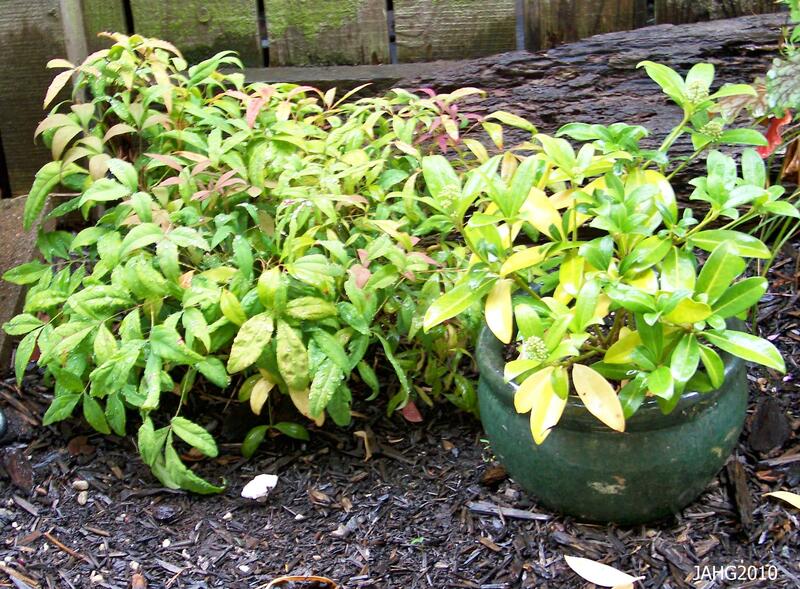 This dwarf Nandina would be best suited in a nice container. Nandinas are fairly hardy growing in zones 6 though 10 or-10c.(14f.) with little damage as long as they are in a spot shelter from drying winds. If they do lose their leaves in a hard winter they often come back quickly with new stems coming up from the base, the old ones can be removed. 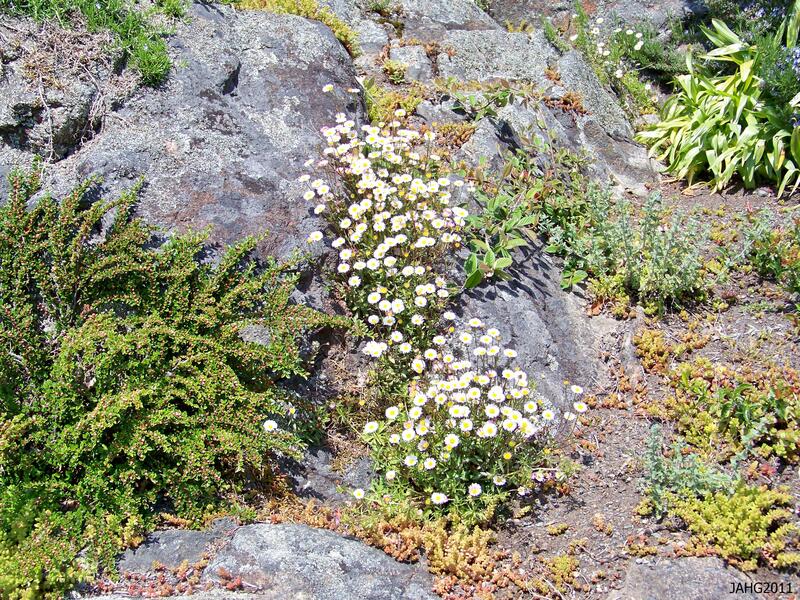 In areas where these plants have become a pest it is important to remove the spent flowers so they do not set seed. Speaking of seed, this is a common way to increase your crop of plants, germination is best if sown fresh with all pulp removed from the berries. The other method of propagation is by semi-ripe cuttings in mid spring. 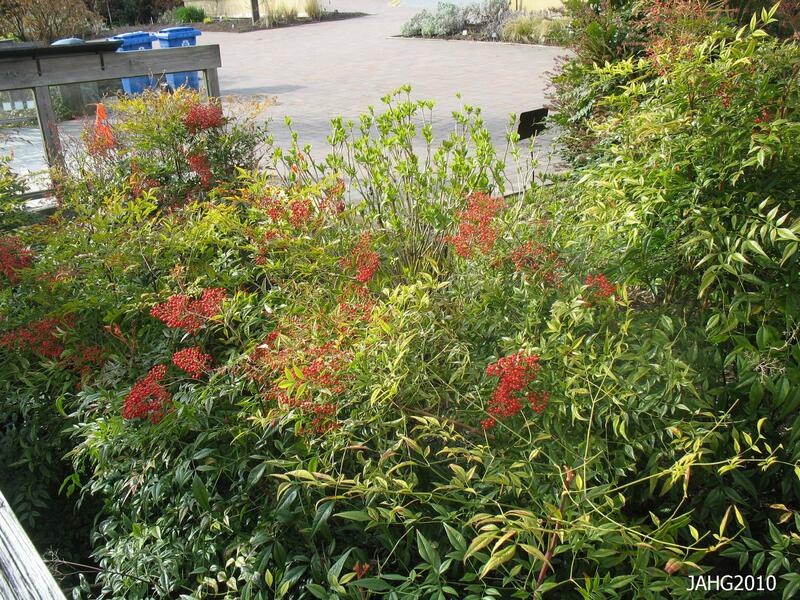 This Nandina domestica is well palced in a sheltered location with some sun. 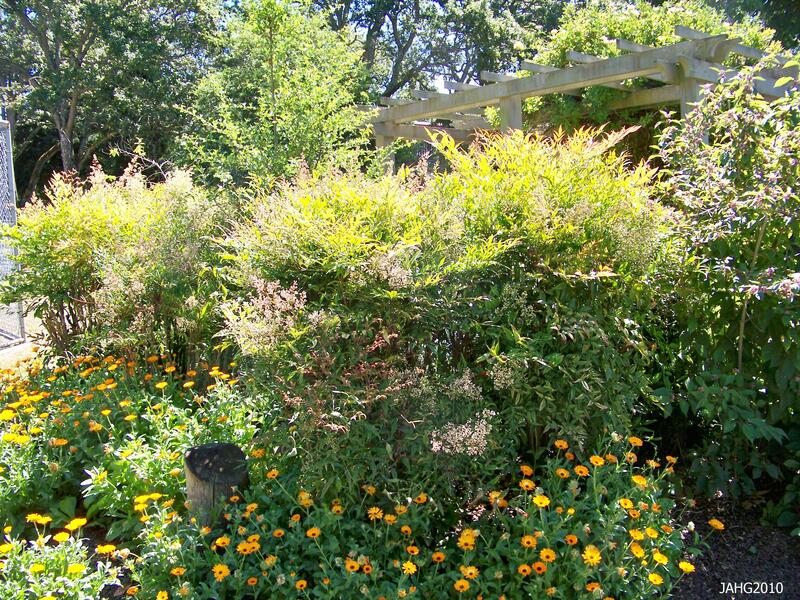 Nandina domestica can be used in a variety of ways, as an informal hedge, mass planted, as an accent or for seasonal color. You will see it used in many public gardens as well as better institutional setting as it is a much more manageable substitute for true Bamboos.It fit well in asian, Japanese, understory or dappled and modern gardens very well. 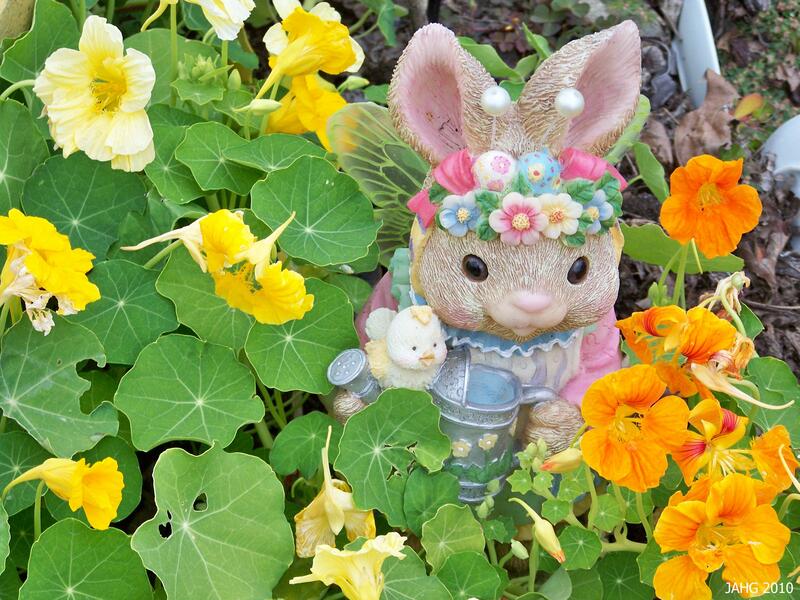 The graceful feeling of the plant is much appreciated by gardeners everywhere. Hope to see you soon…..here again. The Grand Madame of Southern Trees. 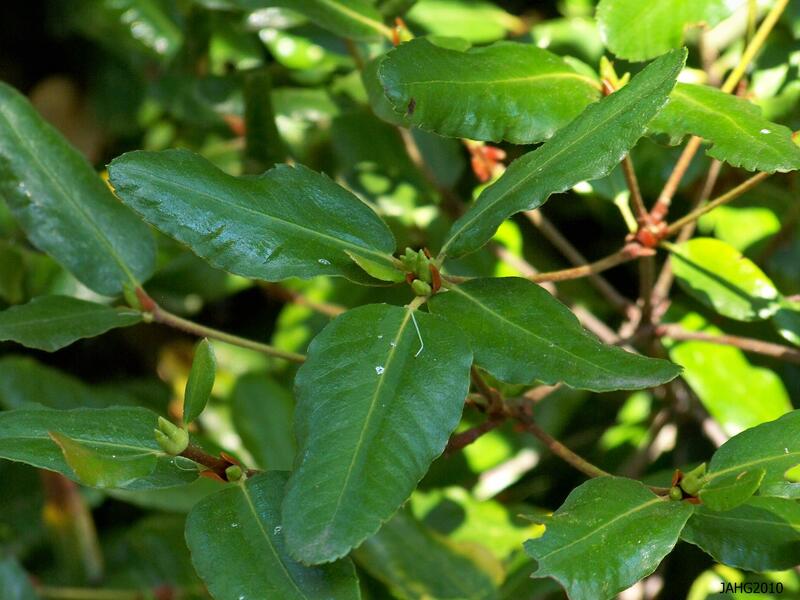 One type of plant which I really did not know when I was growing up were broad-leaved evergreens. You know the kind I mean, the leaved trees and shrubs which do not shed their foliage in autumn. 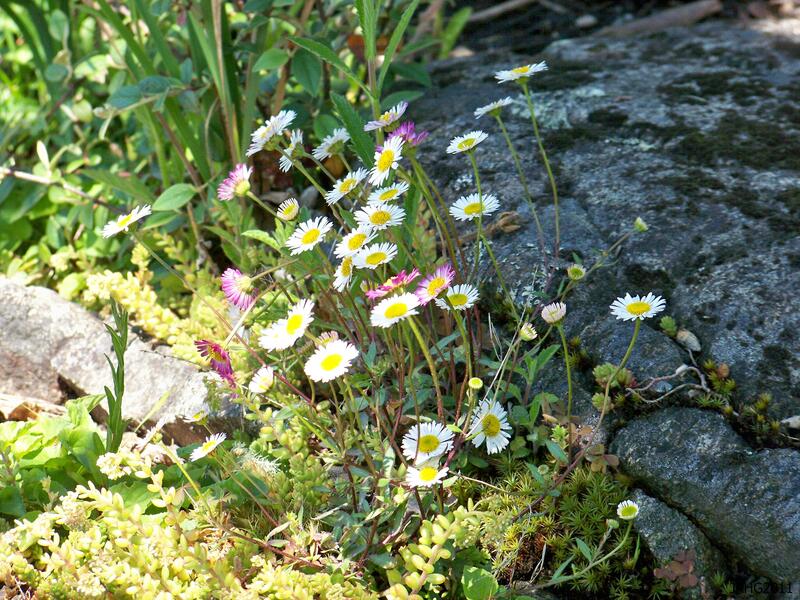 I grew up in an area where this kind of plant had to grow below the snow line, the only native plant which fitted into this category were less than 30cm(12in.) high. 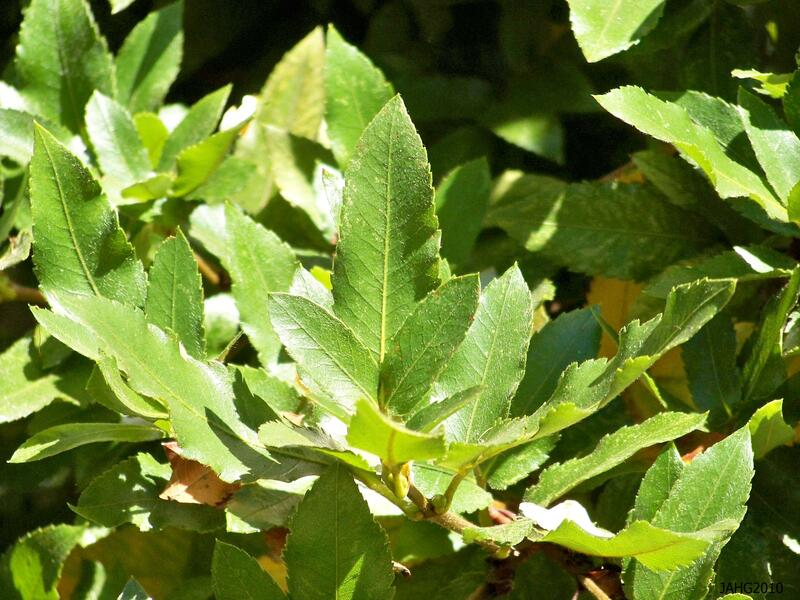 Here in the mild west coast there are many broad-leaved evergreens, most are shrubs with only a few trees. 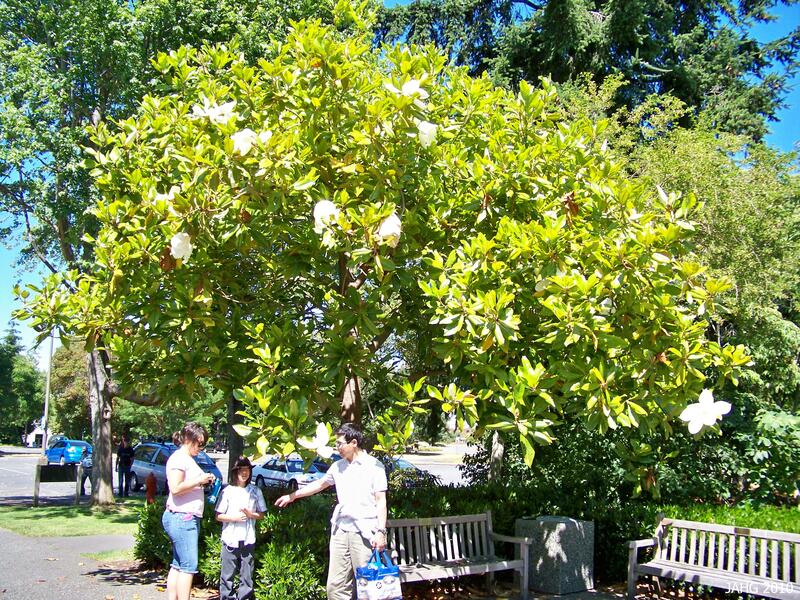 One of these trees which I first saw in Vancouver was the impressive and beautiful Magnolia grandiflora (Southern Magnolia). Magnolia grandiflora iss named for it's huge flowers which can be up to 30cm(12in) in diameter. 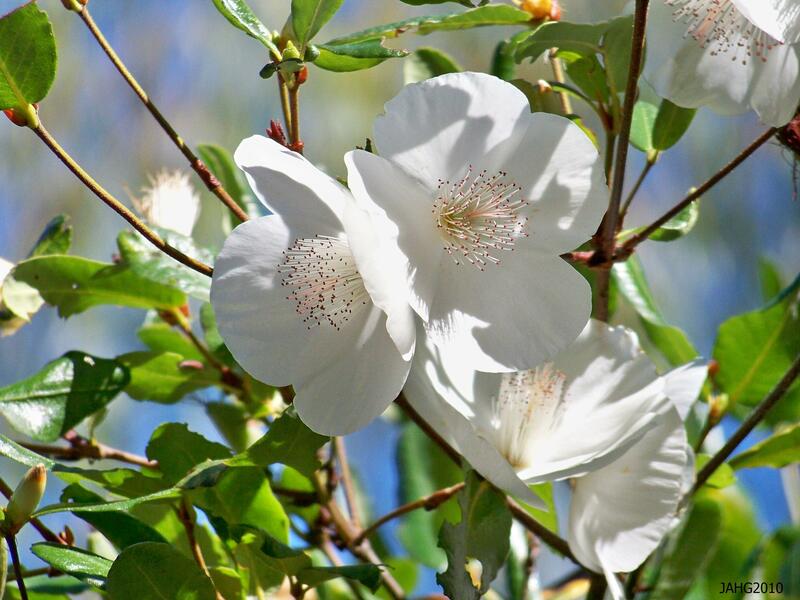 Southern Magnolias are indeed true southerners as they grow in the south-eastern United States from Florida up the coast to Virgina and west through Arkansas and Texas. It is a wide area and is found in a variety of locations which all usually have increased moisture. Often they are found on the edges of water, and swamps, along slopes and ravines and in floodplains, all these sites are good sources of water which are quickly drained. Some of my relative are impressed with the massive flowers of the Southern Magnolia seen at Finnerty Gardens. Magnolia grandiflora was first brought to the garden world in 1726 by Mark Catesby(1682-1749). he was an English naturalist and always had an interest in collecting oddities. To this end he travelled to Virginia to visit his sister in 1712. While he was there he collected seed and plant samples which he brought back to a nursery in London in 1719. 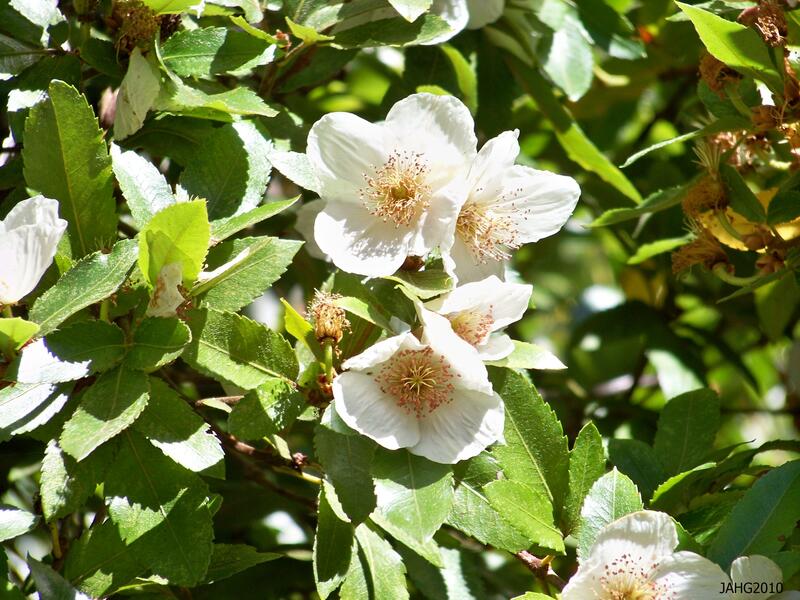 In 1722 he was selected by the Royal Society to collect plant samples in Carolina. Catesby again came to North American and collected plant and bird samples from the east coast and the West Indies. From his samples he later published ‘Natural History’ in folio style between 1733 and 1746. This folio was the first of its kind and was very influential. Many of his specimens ended up in the collection Hans Sloane who later gave everything to the British Museum. The foliage of the Southern Magnolia is beautiful. 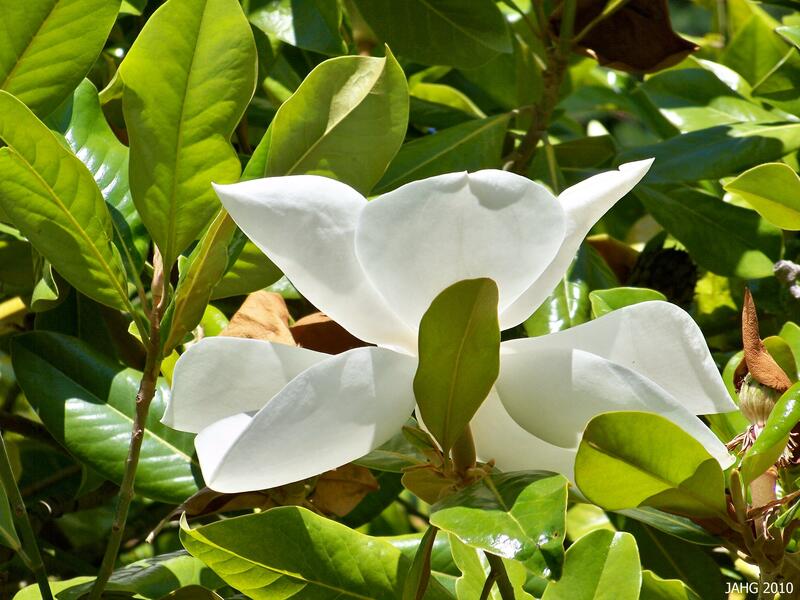 Magnolia grandiflora has in the past been an important source of timber and was used in many ways; for furniture, boxes, venetian blinds, sashes, doors and veneers. The characteristic qualities of the wood are that it is fairly hard, stiff and has little shrinkage. The wood has a pleasing color with the sapwood being of a pale yellow tone and the heartwood being a deeper brown. 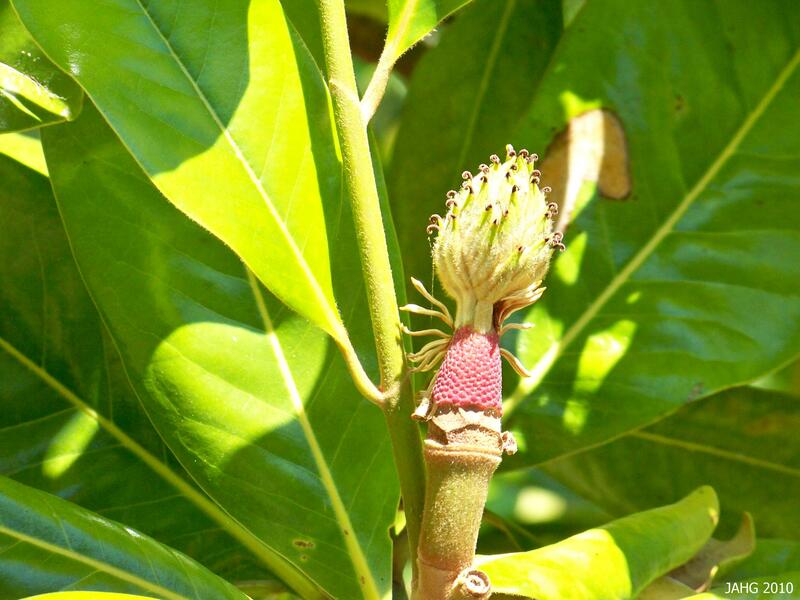 The tree itself is one of several Magnolia species which were used in North America in a medicinal way. 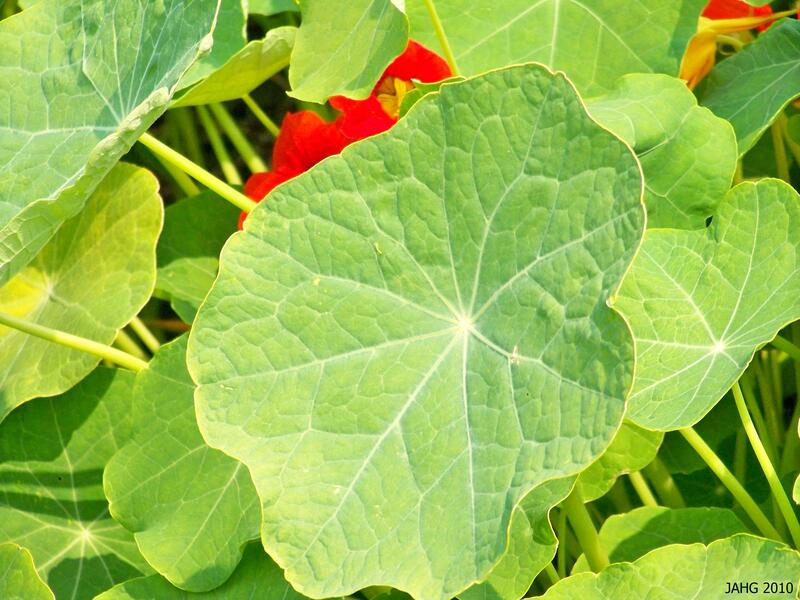 The foliage is now used by florists who appreciate its sturdy quality and the beautiful rust colored indumentum on the undersides of the leaves. 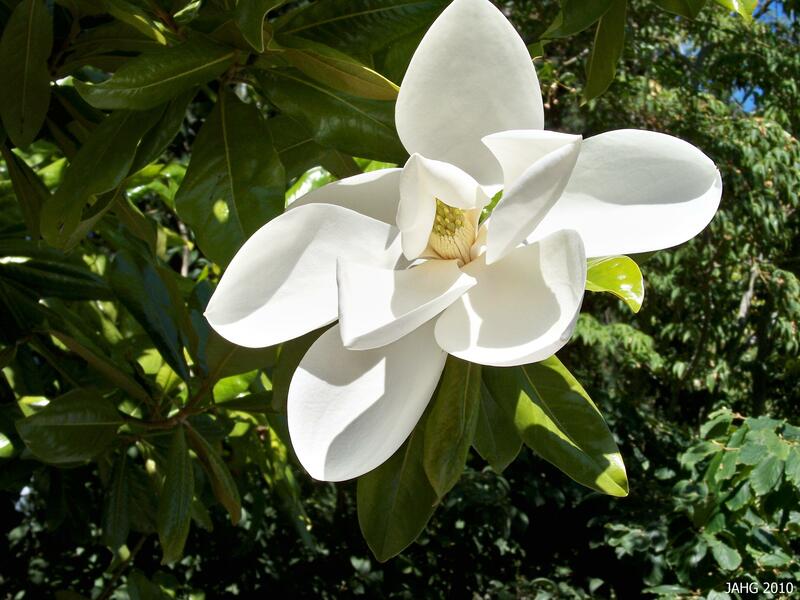 Magnolia grandiflora is the state tree and flower of Mississippi and is the state flower of Louisiana. Magnolias are a very ancient plant and their seed heads have an almost reptilian quality to them, although here I have never seen ripened seed of Magnolia grandiflora. 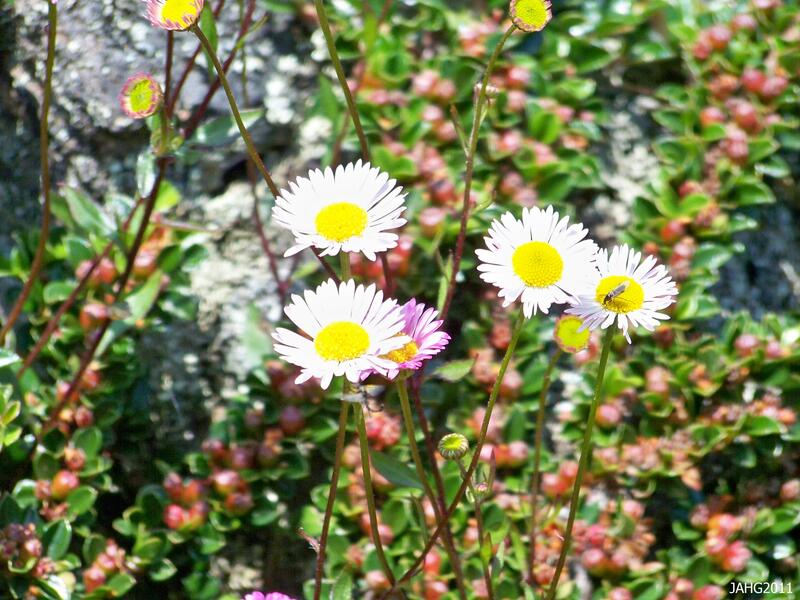 They seem to have evolved before bees existed and the flowers are designed to be pollinated by beetles. The name ‘Magnolia’ refers to Pierre Magnol who was a French Botanist who was the first person to use the concept of plant families for classification purposes. ‘Grandiflora’ not surprisingly refers to the giant sized flowers. The unusual seed head of Magnolia grandiflora. We are lucky to be able to grow such interesting plant like the Southern Magnolia and to see their magnificent blooms. 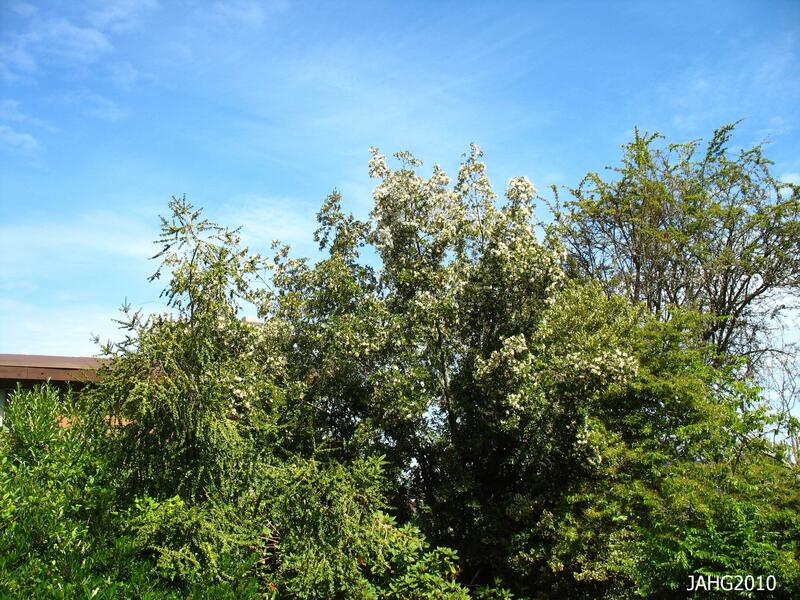 These are trees which can grow to 27m(90ft) in the wild but rarely gets anywhere near that in a garden setting. The tree developes an attractive pyramidal form as it ages which makes it a good choice for the home garden. My sister has a postage-stamp size front yard and here their Magnolia grandiflora fits in beautifully. Some people complain about the fact that it sheds its leaves slowly during the year, this is common for all broad-leaved evergreens. Magnolia grandiflora flowers have a delicate citrusy scent which is fresh and elusive in the garden. 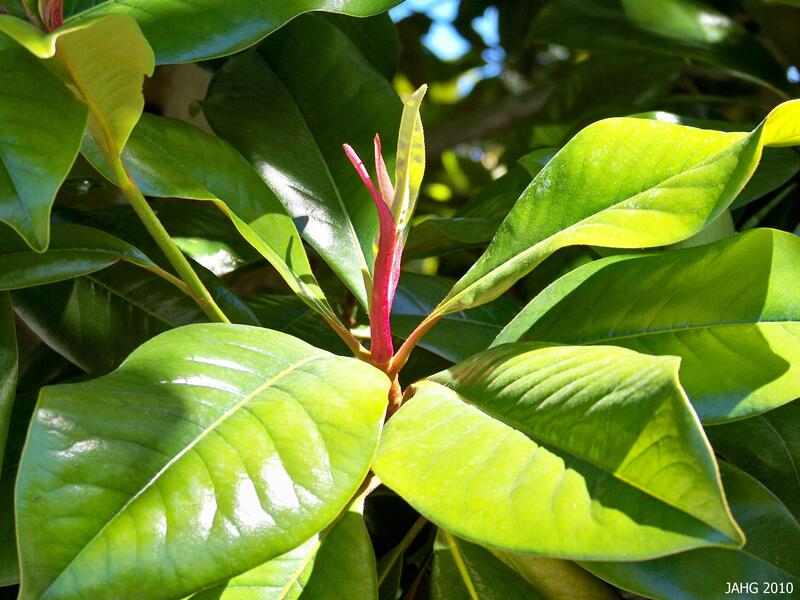 When choosing a site for your Southern Magnolia you need to select your site carefully. This will over time become a large tree, so not too close to a building is best. They have very brittle roots so only plant this tree only once, do not replant it later if at all possible as it might not survive the move. The roots are shallow and do not like to be damaged, care must be taken when planting under this type of tree, a simple groundcover or even grass is best. 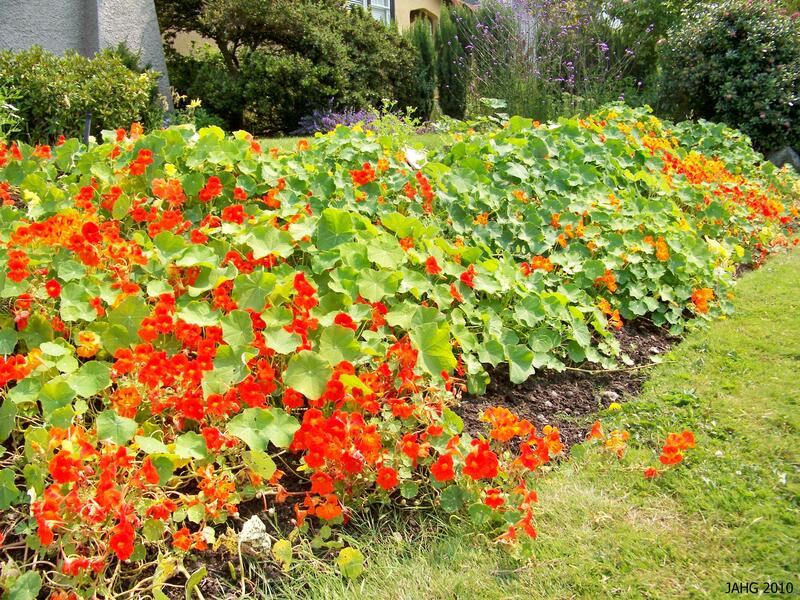 They like a nutrient rich, well draining soil. Pruning can be done during early spring but rarely need it except for shaping or removal of damaged limbs. Few pests or disease effect this tree or damage its foliage. 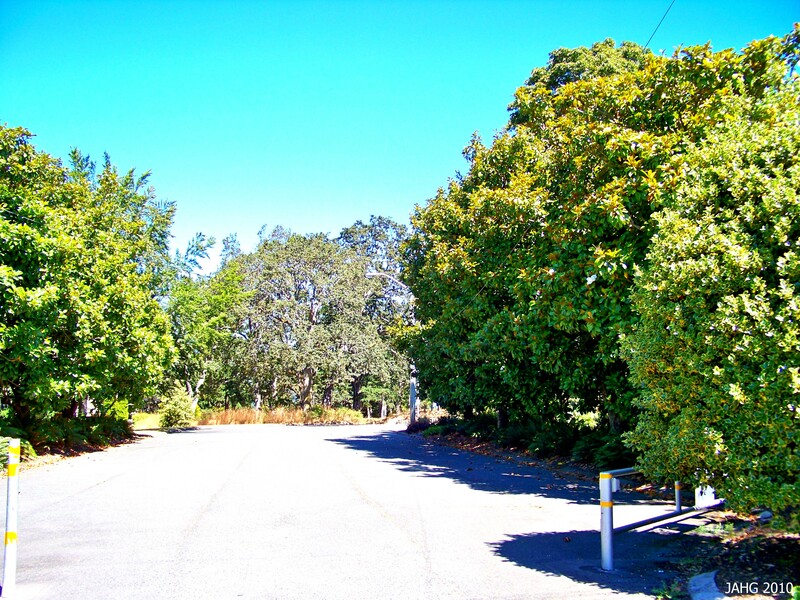 This avenue of Southen Magnolias is found off of Rock Street and leads to the top of Playfair Park in Saanich. 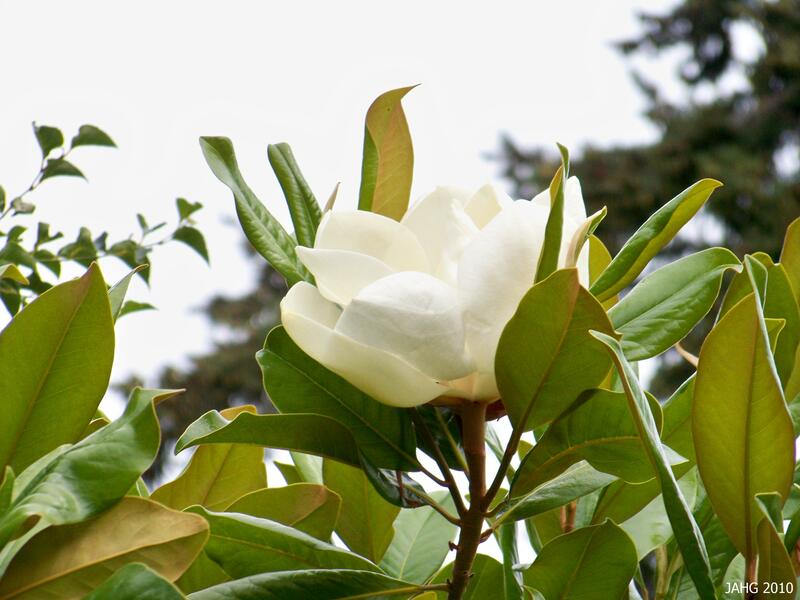 Magnolia grandiflora are said to be hardy to -20c(-10f) or rated at zone (6)7-11. 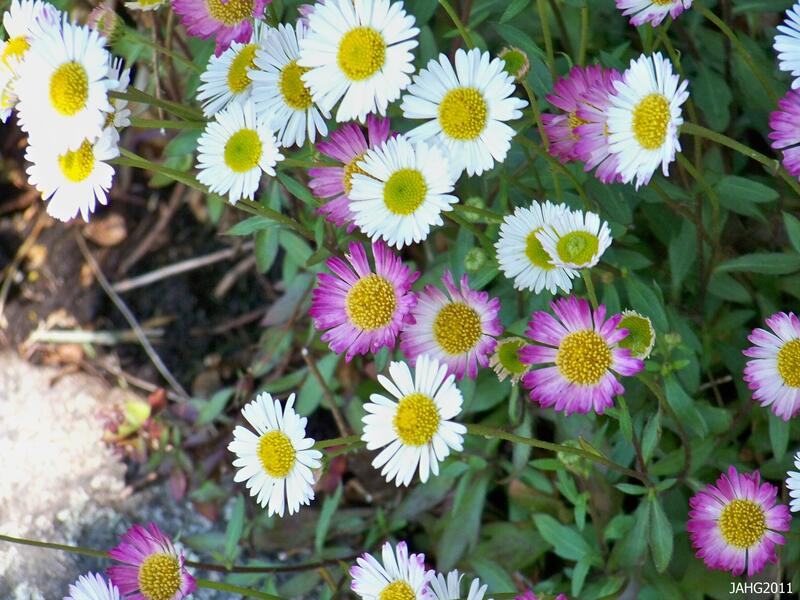 There are forms which are especially hardy and grow in colder areas such as Ontario and Ohio, ask at your local nursery for forms which are best for your site. In the colder zones they can be damaged by drying winds when the ground is frozen as they are unable to get water to their leaves, this is a common problem for broad-leaved evergreens. Choosing a site which is protected from these winds will help solving the problem. Until I see you on my blog again….soon I hope!